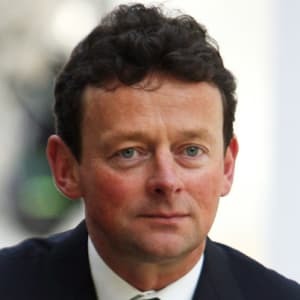 Tony Hayward is Chairman of commodities group, Glencore Xstrata. He was CEO of BP from 2007-10. At BP, Tony held a series of technical and commercial roles in Europe, Asia and South America and became chief executive of BP’s Exploration and Production division in 2003. He became CEO in May 2007. Tony stepped down as CEO after one of the largest environmental catastrophes in history, the explosion of BP’s Deepwater Horizon oil rig, off the coast of Mississippi, in which several people died, and led to the spilling of more than 92 million gallons of oil into the Gulf. In 2011 Tony founded Vallares plc, a US$2.2 billion acquisition company listed on the London Stock Exchange. He became Chief Executive of Genel Energy plc in 2011, a position he still holds, following the merger of Vallares plc and Genel Energy International, the largest oil producer in the Kurdistan Region of Iraq. Tony Hayward currently serves as a Senior Advisor of AEA Investors. He has been Chairman of the Board of CompactGTL since 2013. He is a member of the boards of Miramar Hydrocarbons and Numis Corporation Plc. He also serves as a member of the European advisory Board of AEA. He was honoured with by University of Birmingham with a ceremony award in 2013. That same year he received an honorary degree from Robert Gordon University.